The BF+DA recently launched the TEK-TILES project with a seasoned group of designers and researchers who have expertise in product development, apparel and textile design, and interactive technology to explore new ways of manufacturing smart garments and functional fabrics. 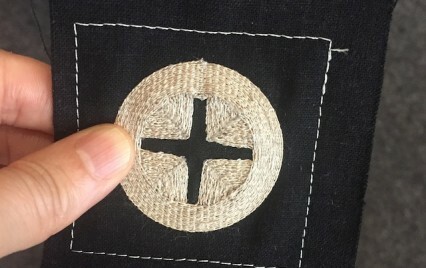 Key to the project is creating thirty “TEK-TILES” – knit swatches that have been activated by incorporating conductive yarn, nanofibers and filaments that have unique properties and functions. In addition to the exploration of new materials, the team will explore the environmental and ethical consequences of integrating technology into textiles. Deb Johnson, founder of the BF+DA and previous chairperson of the Industrial Design program at Pratt Institute says that the industry has entered a new age in material technology. “This is an age that will have a massive impact on the function of clothing and the way our products communicate with us and each other,” says Johnson, adding that rapid advances in science, computing and connectivity are expanding the boundaries of possibility for creating life-changing products that connect sustainability and technology. The TEK-TILES project is aligned with a $486K grant that will expand the BF+DA to include a research center for creative technologists that will connect product developers to the design and manufacturing services they need to get “smart garments” and functional textiles from concept to market. Read the full story on the new project here.